It's difficult to miss this picturesque home with stunning mountain views when driving to Windham's slopes or golf course. 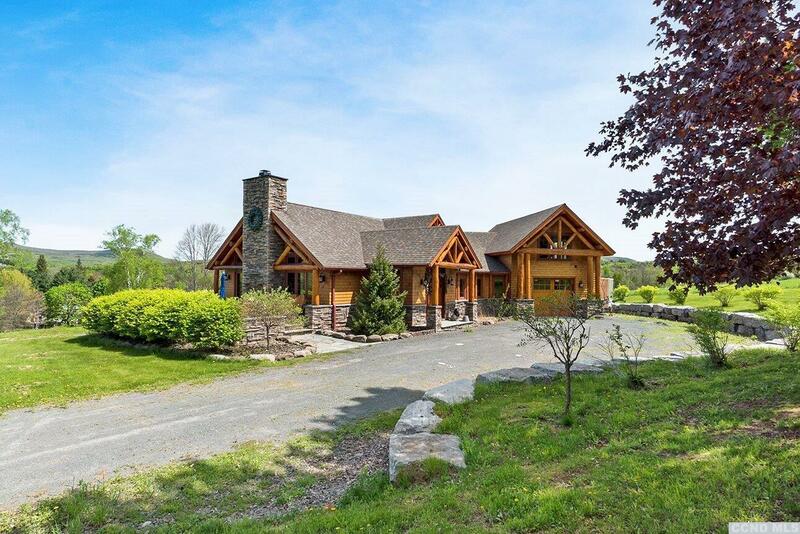 The eye-catching cedar contemporary with timber-frame accents and stone work embodies everything that you are looking for in a year round Catskill Mt Escape. The current owner, a renowned professional designer, created flowing and light filled spaces that boast gleaming wood floors, vaulted ceilings and high-end finishes imported from Italy and England. The kitchen boasts Brookhaven cabinets with custom pulls, exotic Moron Beau counters, imported Italian stove, Bosche appliances, and a reverse osmosis water system. The imported tiles and fixtures continue through the baths including Herbeau fixtures and a steam shower. The large family room w fireplace can easily be used as a 4th bedroom. Complete package w/heated ski rm, 2 car garage, central ac, sec system, beautiful stone patios & walls, hot tub & views of the slopes from two outdoor fire-pitS.